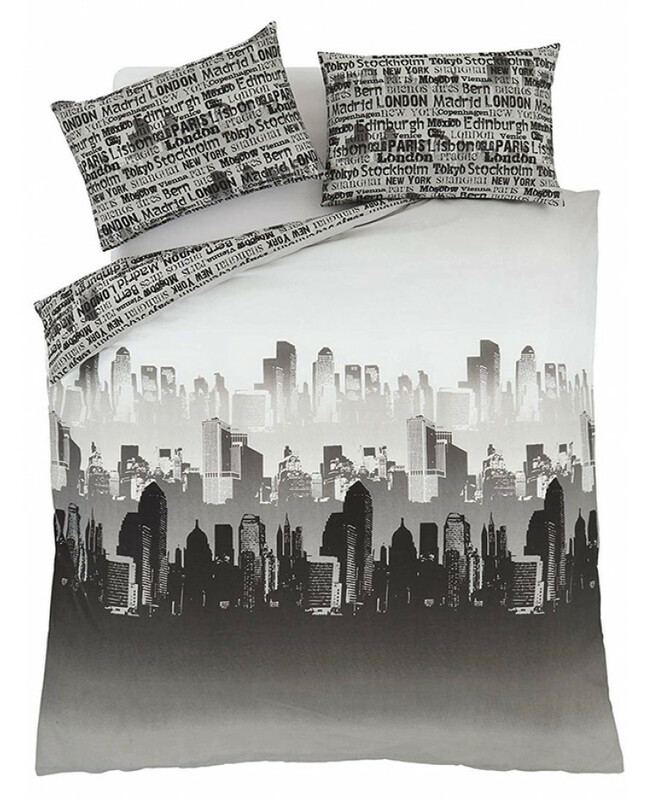 This stunning Catherine Lansfield City Scape double duvet cover set will add a stylish finishing touch to any bedroom. 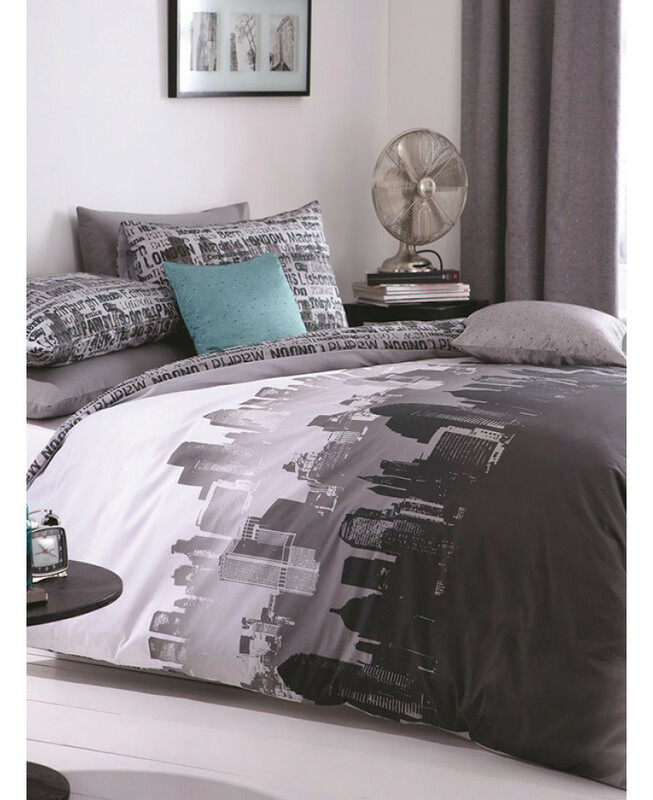 The reversible duvet cover features a cool city skyline silhouetted in black and grey on a white background on one side. 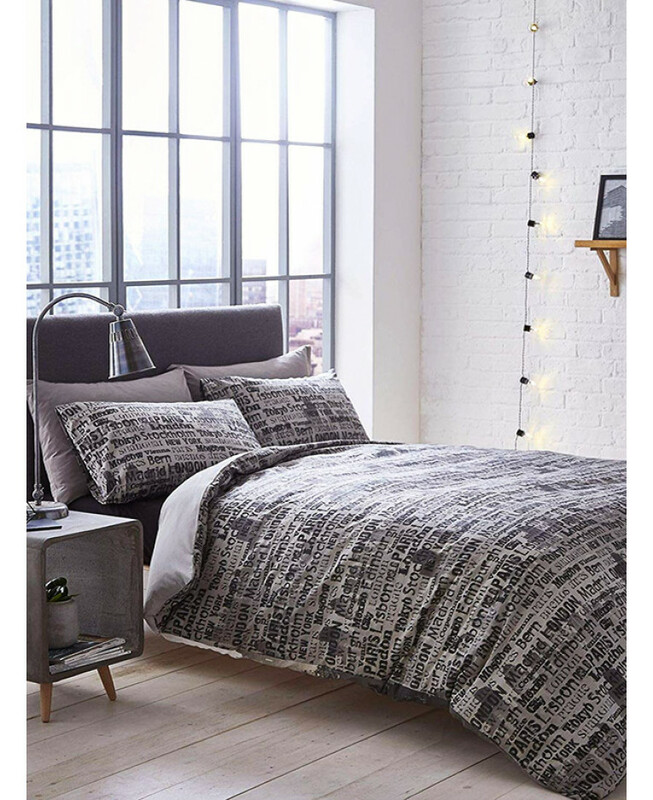 The reverse has city themed text that is echoed on the pillowcases, giving you two great designs to choose from. 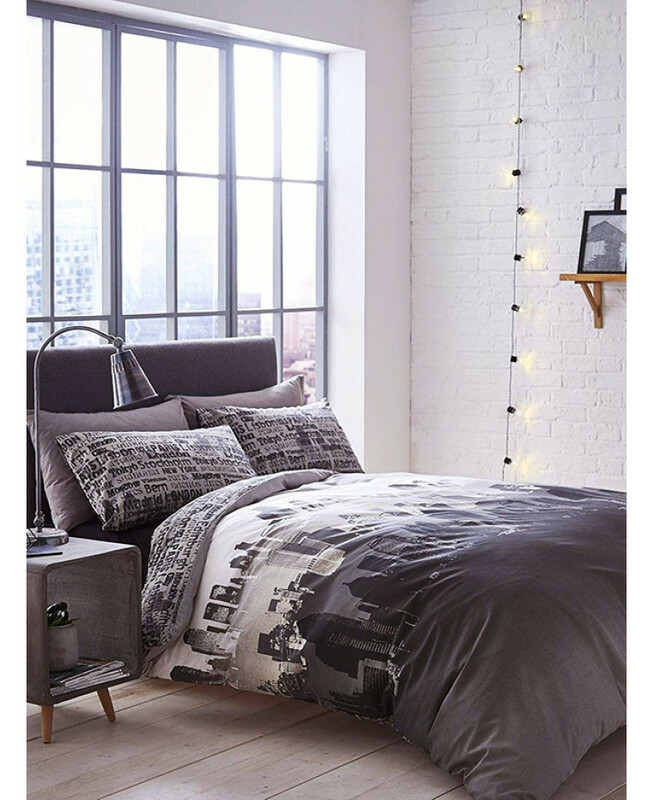 Made from a polycotton blend, this bedding set can be machine washed and tumble dried on a cool setting.